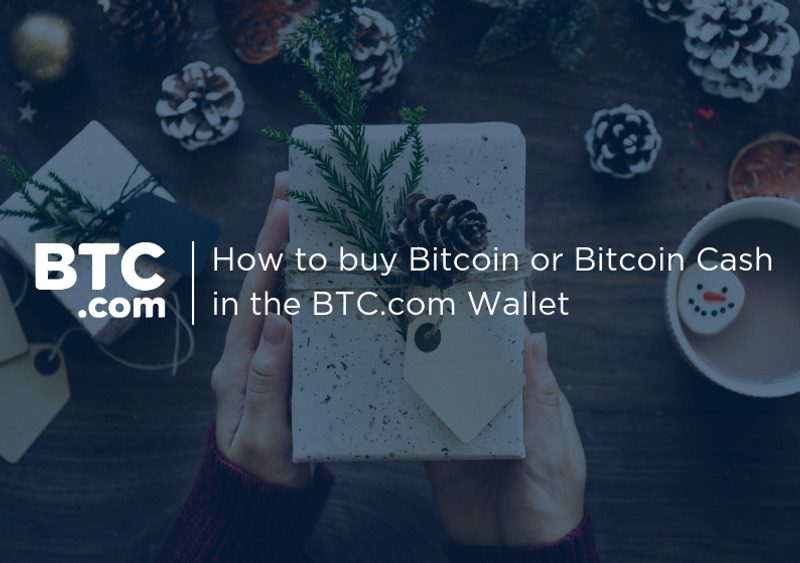 Choose if you wish to purchase some Bitcoin (BTC) or Bitcoin Cash (BCH) and change the Wallet accordingly. Once you’ve opened your BTC or BCH Wallet, click on “Buy” in the menu. Select “Buy with Credit Card” with Simplex. In Simplex, fill out your billing information and if this is your first purchase, please verify your email and phone number. Enter your payment details to complete the purchase. If needed, please follow the Simplex instructions to provide extra identity verification. Screenshot made in the BTC.com Wallet in the buy Bitcoin Cash section. Screenshot made in the BTC.com/Simplex when you have to give your billing info. Is there a minimum amount to purchase? The minimum amount to buy is USD 50, or equivalent in BCH or EUR. How long does it take for the Bitcoin Cash to appear in my wallet? The purchased Bitcoin Cash will be deposited in your wallet in 2–3 days on average. Who can use this tool? Simplex supports most major credit cards and most countries worldwide, however few countries may not have access to the service. Do I have to pay fees when I use the service? 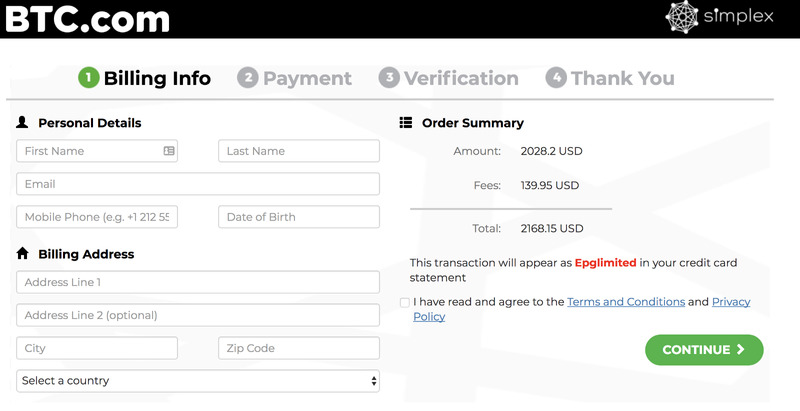 The service fee is calculated for each purchase and is displayed before the checkout. The BTC.com Wallet offers the safest digital wallet, with special multi-signature technology. Perfect for beginners and advanced users alike! Our wallet is secure-by design, allowing you to be in full control of your funds. Access your wallet on any devices, anytime. Dynamic transaction fees — pay optimal transaction fee for the fastest transaction confirmation times at the best price. Accelerated transactions — push your priority transactions directly to the BTC.com mining pool for super fast confirmation times. Master seed backup — one backup keeps your bitcoin safe forever. Follow us to stay updated with our products and the crypto industry.